Sponsored and published by the Oasis Foundation, and based on a five-year inquiry into peer-based models across a range of organisations, this manual covers the challenges that arise, provides tools and techniques and gives case studies of organisations in the transition to a more collaborative way of managing. PEERworks offers us a glimpse of what’s possible; drawing on hard won insights, fresh ideas and practical tools that have emerged from their own experience and commitment to working as peers. Do you have the feeling that there are better ways of working that value freedom, responsibility, authenticity? Ever wondered what your organisation could achieve if all of its people were collaborating effectively and dynamically as a team? Do you long for a workplace that honours the whole person and as a result improves how it runs and serves its clients and stakeholders? If so, then PEERworks is for you. Dive in. It’s free to download and we’d love to hear your feedback. 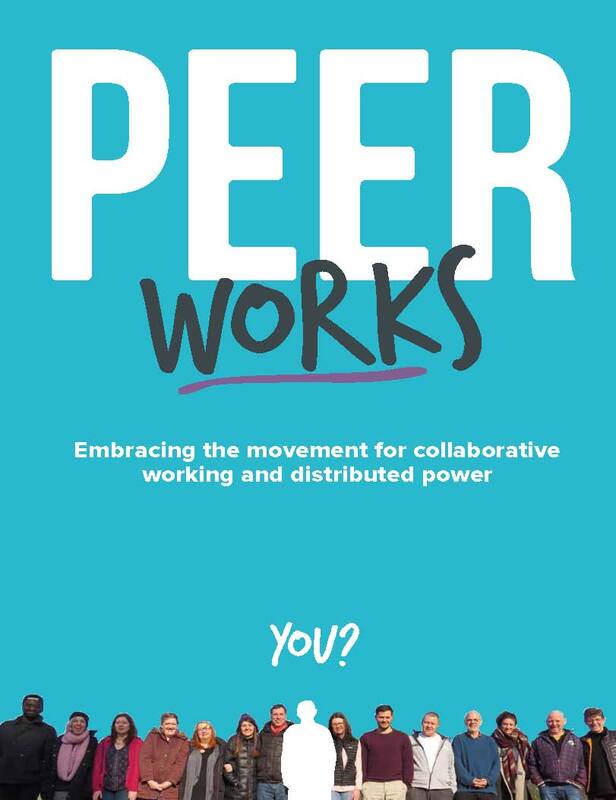 PeerWorks is an invaluable guide on the journey, helping confront the snares of our past while opening possibilities for our future of work together. Filled with courageous reflections and promising practices, PeerWorks will be a rich resource for all of us seeking a world that works for all. And if you find you’d be interested in being part of our community of organisations working together on these issues, why not contact us about joining the PEERworks process. This proposal for better ways of working is both inspiring and challenging. It also gets down to the nitty-gritty of how to do it. At a time when hierarchy, leadership obsession, ego and bureaucracy are dominating most organisations, it is a breath of very nourishing fresh air. For a hard copy of the manual, contact the Oasis office on 01937 541700. Hard copies are charged for at cost – £5 including P&P. I found the residential really interesting and different to anything I’ve done before, mainly because of the way it was structured and entirely led by the participants. It allowed a lot of space and opportunity to take a step back and think creatively, which was really valuable.